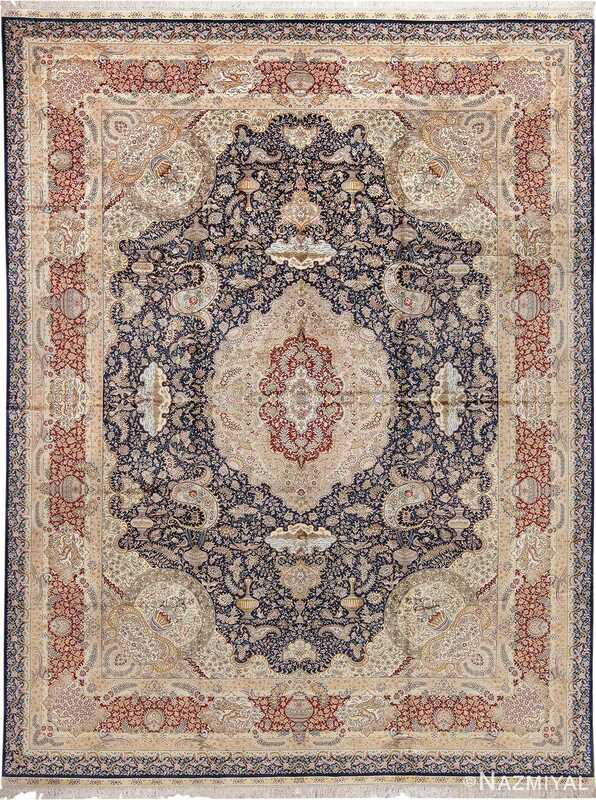 Antique Chinese Rug 43747, Country of Origin / Rug Type: China Rugs, Circa Date: 1920’s – Like many beautiful Chinese rugs, this sophisticated piece is unique in its elegant presentation. The foreground elements seem to defy conventional laws of arrangement by appearing in both borders and core sections as a single part of a larger whole. 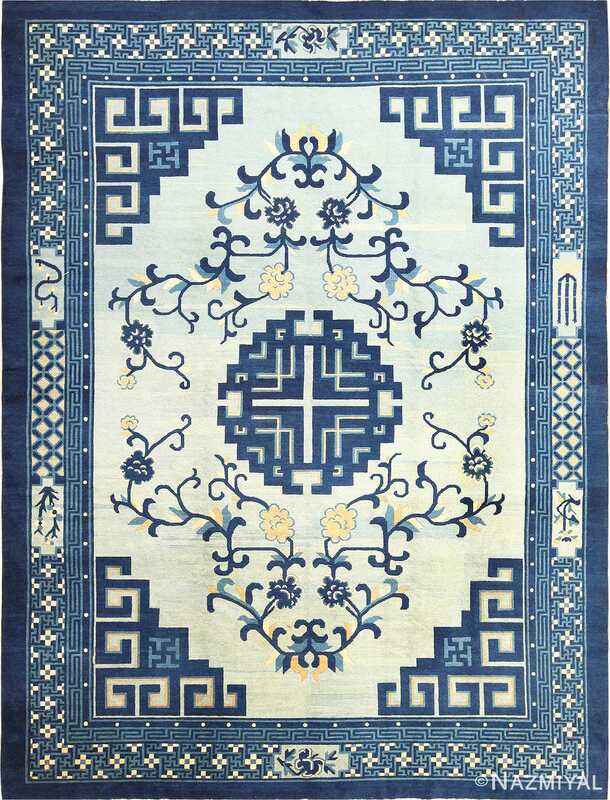 In this China rug, midnight blue dances with inky black to create a stunning nightscape, mystifying in its composition. 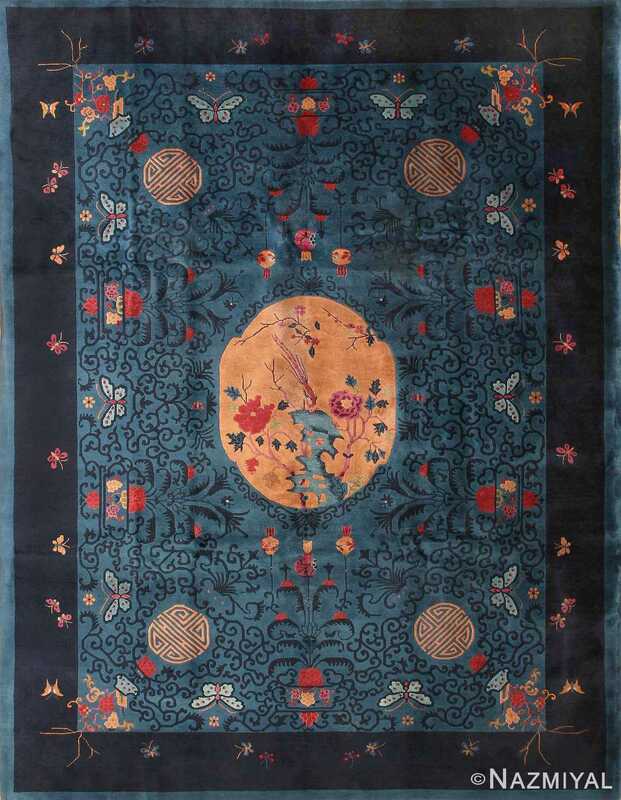 The black border leads the viewer’s eyes to the heart of the antique rug, where the blue elements stand out as a wonderful backdrop to the red vases and lighter blue moths. A dazzling moon stands out at the very center, presented in a light and warm tone. 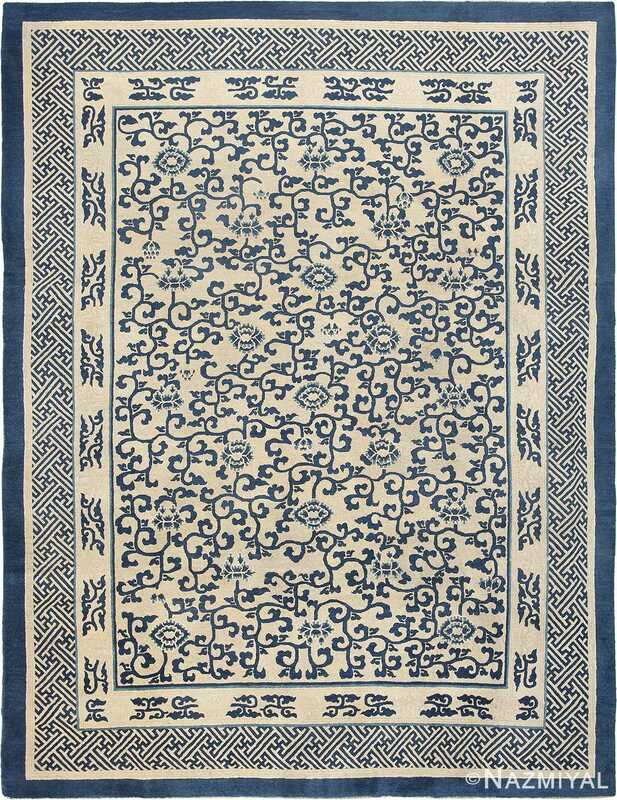 Lavish curvilinear vine scrolls with stylized foliage and lush floral decorations meander across this antique Chinese carpet creating a spectacular filigree pattern.